I'm not sure how Twitter works, and it's always seemed like unreliable, randomly working magic to me, but what the hell, use the hashtag and indicate demand for Babylon 5 (and Crusade and The Telepath War). I did. My handle is MacBreck or @MacBreck. Let's stir the pot! Last edited by KoshN; September 2nd 13 at 20:16. I definitely caught the B5 mention on it! If you want to see more Babylon 5 being made you should ‘like’ the page on the end of this link, and point every sci-fi fan you know to it. For years jms has said fan based campaigns are a waste of time, now he’s done a complete 180 on that - spending a few hours last night tweeting with folks on the future prospects of a new Babylon 5 show. I’m not suggesting there’s any significance in the fact that the shows 20th anniversary is next year (this year was the 20th for the movie, a separate thing). But stuff does go on behind-the-scenes that fans aren’t always aware of. I’m also not suggesting you should send emails or write letters. That’s too much like hard work personally – but pressing a button!! 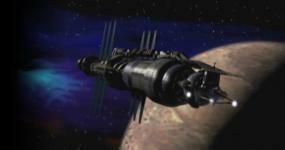 Maybe using the #FreeBabylon5 if tweeting is your thing. Letting others (not just existing B5 fans) know about it, is so easy to do. BTW. A little known fact is that when B5 was first on the air, Warner Bros. paid very close attention to the online activity of fans – and jms’s interaction with them. There's a basic information page up at http://freebabylon5.com/ now. Later on there'll be ways to contact WB and TV stations about getting the show back on the air (or on cable, or even streaming (legally)). And to be clear, that's all this is about - getting B5 back available so that potential fans might be able to find it and watch it. Maybe in the future something new might come along but that's not what we're concentrating on. Point is, whether we do more B5 or not, the show is going to continue to fall into obscurity unless it's put out where people can see it, and the fandom will continue to diminish. If you're cool with that, then you don't have to do anything. If you'd like to see the original show grow and expand within the ranks of fandom, then maybe some involvement would be a good idea. Vote often through October 31st to make sure your favorites become Official People's Choice Awards 2014 nominees. Voting for the winners begins on November 5th. So keep voting, many times per day, every day! And get all of your friends, family, acquaintances, co-workers and random strangers to vote, too! Spread the word on Facebook, Twitter, Google+, Tumblr and whatever other social networks are popular. Tomorrow's the last day to write in Babylon 5 and try to get it on the People's Choice awards ballot! Vote a bunch of times tonight, even more all day tomorrow. We can do this! Quite a few people on various sites have asked for more t-shirts. This new design will be available only through November and are being sold at no mark-up through CafePress (which has excellent international shipping rates). Watch TV (UK) promotional spot.